Say the word ‘casino’ and most people instantly picture the blazing neon lights of the Las Vegas Strip, the incredible high-rise super-resorts of Macau, or the sophisticated luxury of Monaco. But, for all their glitzy appeal, are traditional land-based casinos really the best places to play? Okay, so land-based casinos do have some things going for them that websites can’t compete with. If you’re in Vegas, you can soak up a bit of Americana (and the residual radioactive fallout from 100 atmospheric nuclear tests, but hey…). If you’re in Macau, you can experience a taste of Chinese culture, and if you’re in Monaco you can marvel at super yachts and dream cars, while browsing the finest designer boutiques. No matter how you cut it, playing online from the living room of a two-bedroom flat in Guildford just isn’t going to be the same. 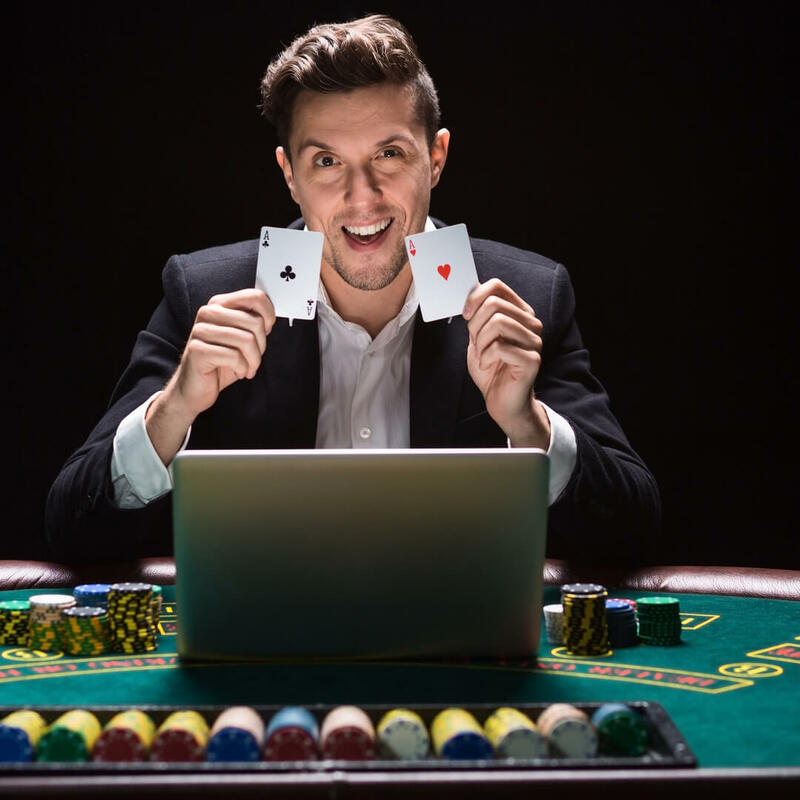 But for those who are passionate about gaming, whether slots, roulette, baccarat, blackjack, or poker, playing at online casinos can offer several very real advantages. For a start, if you’re playing online you can check out exactly what’s on offer before spending any of your hard-earned cash. Swing by EnergyCasino and you can play well over 600 of the best slots in the world, completely for free, not to mention you can chill out in the atmospheric live casino and watch the tables – all with no pressure to spend a penny until you are comfortable and confident. On the other hand, in any land-based casino, the house is going to be trying everything possible to get you spending from the second you walk into their lobby! Whether it’s making you walk past rows of shiny, flashing slot machines (that you absolutely can’t try for free! ), or encouraging you to drink alcohol until you convince yourself your bank balance is on par with Mark Zuckerberg’s – when you’re at a land-based casino, no matter how exclusive, you’re a captive audience and it’s easy to be manipulated. Everything is about controlling the playing environment. In land-based casinos, the establishment management controls everything – from the multitude of distractions and pleasures, to details like the temperature and lighting. However, at home, you call the shots, and you can make everything exactly like you want it. Get comfy, put your feet up, make a meal, get refreshments, watch a movie, listen to your music, have friends over, or play alone, get rid of all distractions and focus on the game – you are in control when you play at an online casino. And, of course, an online casino isn’t going to try to get you drunk and take advantage! The advantages of playing online don’t stop there though. You simply won’t find a single land-based casino anywhere that can match the range of games available at a good online casino, like EnergyCasino. Land-based casinos, even the biggest, simply don’t have the physical space available – after all, real estate is expensive! In terms of managing your finances, you’re also much better equipped at an online casino, where you can check easily your account status, and deposit or withdraw, with a few clicks. Don’t forget, most online casinos will also allow you to easily set limits, making managing responsible gaming that much easier too. Now, we’re not saying that land-based casinos are bad or anything, in fact quite the contrary – we love them! A visit to a quality land-based casino is a great way to spend an evening, especially if you’re lucky enough to visit one of the iconic gaming destinations, like Las Vegas or Macau – but in terms of sheer choice, control and convenience, land-based casinos can’t come close to the best online casinos. Of course, like anything online, to ensure you have a safe and pleasurable gaming experience, make sure you only play at casinos that are licensed in reputable jurisdictions, offer genuine software, and come highly recommended. And, at the end of the day, just try winning in your pajamas in Las Vegas!